Hello and welcome to our September bulletin. Bringing you our usual mix of news, publications, project updates and more. We’d like to extend a warm welcome to all new and existing students who joined us at the University of Edinburgh this month! Autumn is now upon us and September has been a busy month welcoming students and resuming teaching. 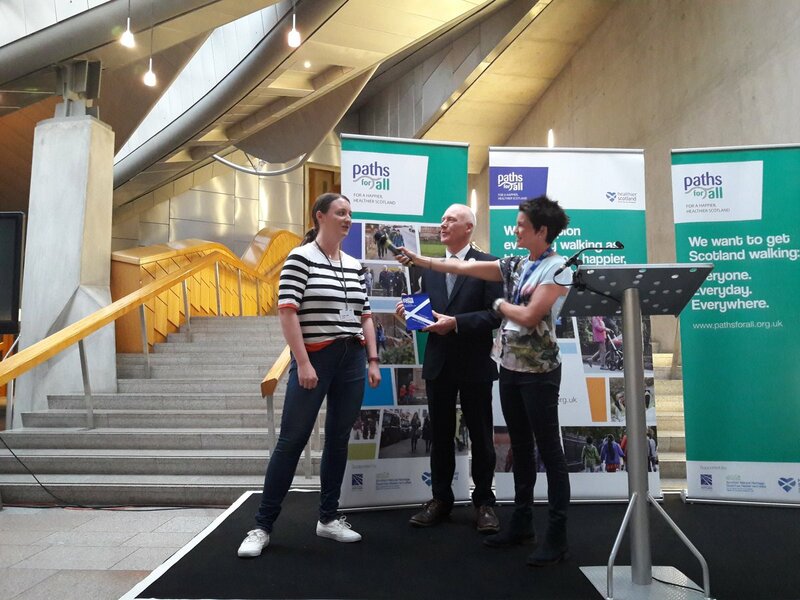 We’ve attended a number of events this month including the Paths for All 2018 Volunteer Awards ceremony at the Scottish Parliament. We’ve also had a number of abstracts accepted for the upcoming Lancet Public Health Science and International Society for Physical Activity and Health (ISPAH) conferences. You can read more about our updates this month below. If you would like to find out more about SCPHRP, please get in touch with us. SCPHRP’s Larry Doi and Laura Tirman were involved in an Evaluability Assessment (EA) of the Scottish Baby Box with Peter Craig of the MRC/CSO Social and Public Health Sciences Unit, University of Glasgow. The EA was conducted on behalf of the Scottish Government. The report has just been published and can be viewed here. SCPHRP’s Larry Doi (PI), Ruth Jepson and Kathleen Morrison, including researchers from the University of Edinburgh’s Centre for Clinical Brain Sciences, University of Stirling, University of the West of Scotland, Ipsos MORI, and the Information Services Division (ISD) of the NHS National Services Scotland have recently been commissioned by the Scottish Government to evaluate the Enhanced Health Visiting Pathway. There have been substantial changes to Health Visiting in Scotland recently and SCPHRP is excited to be involved in the evaluation. The evaluation is over four years and you can contact Larry for more information at larry.doi@ed.ac.uk. We’ve had a number of poster abstracts accepted for two upcoming conferences this year, see below for more information. Ruth Jepson will be attending the 2018 ISPAH conference to present three successful abstracts from SCPHRP. Stand Up for Health is a complex workplace-based health intervention developed using the 6SQuID framework (Wight, Wimbush, Jepson, Doi 2016). The study follows the six steps of the framework to identify causal factors and wider determinants of sedentary behaviour in call centres and allows participants to develop intervention activities that are perceived to be feasible and acceptable. The framework enables the design of interventions to be transferable and adaptive to every context. Mary’s PhD is a Realist Evaluation and Synthesis of the Step Count Challenge. The first stage of this work has been to generate a ‘realist programme theory’ that can be tested and refined. The poster sets out how the programme theory was generated and what the 7 candidate programme theories are. This poster provides information on the aim of the “Is twenty plenty?” project which begun in 2017 and ends in 2020. The project seeks to evaluate the impact of the 20mph speed limit implementation in Edinburgh and Belfast. This major study is conducted by the Scottish Collaboration for Public Health Research and Policy (SCPHRP) and is led by PI, Dr. Ruth Jepson. The “Is twenty plenty for health” team consists of various researchers from Universities across the UK and involves datasets from multiple sources. Jan Pringle will be attending the Lancet Public Health Science Conference in November to present the following poster abstract. This study describes the applicability of a robust intervention development framework (developed by SCPHRP, Six Steps in Quality Intervention Development (6SQUID) (Wight, Wimbush, Jepson, Doi, 2016) to the area of adolescent health. The relevance of each step in the framework is described using the example of an intervention for teaching assistants working with young people. It draws upon the findings of two major reviews conducted by SCPHRP with colleagues from NHS Health Scotland in the area of adolescent physiological development and health behaviour (McAteer, Pringle, Jepson, Hogg, Anand, Blakemore, Mills, 2017; Pringle et al. 2017) and trusted relationships during adolescence (Pringle, Whitehead, McAteer, Milne, Scott, in preparation). Here’s an update on some of the recent events we’ve attended this month. The SCPHRP team was invited to attend this year’s Paths for All Volunteer Awards ceremony after our very own Laura Tirman was awarded Step Count Champion of the Year 2018! The celebration took place on Thursday the 20th September at the Scottish Parliament and was hosted by the BBC presenter Fiona Stalker. The event welcomed over 170 volunteers recognised for their contribution to getting more people walking through a range of initiatives, including the workplace based Step Count Challenge. Yvonne Laird accepting the Step Count Champion of the Year award on behalf of Laura Tirman, presented by Joe Fitzpatrick – Minister for Public Health, Sport and Wellbeing and BBC presenter Fiona Stalker. Yvonne Laird collected the award on behalf of Laura who is currently busy cycling her way through beautiful mountain passes in Slovenia! Laura was a great motivator for Team Shurpers during the summer step count challenge and it’s great to see Laura and a number of other volunteers across Scotland recognised for their efforts to get everyone walking more. Remember to get your teams ready and sign-up for the Autumn Step Count Challenge which starts on the 29th of October and runs for four weeks. Registrations are now open over on the Step Count Challenge website. On Wednesday 19th September Kathleen Morrison attended the latest Public Sector Client Forum event held by Architecture and Design Scotland (A&DS), ‘Town Centre Living: A Caring Place’. The event follows a series of events organised by A&DS which centres conversation around a Caring Place and asks ‘What does a caring place look like? How we can use design to help create a caring place? What value does design bring?’ The events bring together representatives from variety of sectors such as design, health, care and community to share their thoughts on the topic. A selection of case studies on the topic are available here. Read the ‘A Caring Place’ blog for more info. “I arrived at a bit of an awkward time at SCPHRP for my internship, as it was start of July, when they were moving offices. It was not the most relaxing of times, but I also got to meet everybody in a bit of a different context, while packing boxes. I quickly realised, I was very lucky to be spending 3 months within such an incredible team, full of nice people. SCPHRP is not just about work, it is also about spending nice time with all the different members of the team, getting to know everyone. Having lunches together, watching some world cup football matches, playing table tennis, going on a writing retreat are only a few of the examples which can help explain why coming to work is far from being a burden. Everybody tried to make my stay the most pleasant possible, taking me around with them to different meetings, so I could make the most of my internship. I got to have quite a good insight on the work of the different members of the team, and everybody seems so passionate about what they do that it makes me want to learn more about public health, and considering working in that field. We’d like to thank Samuel for all his hard work and contribution to the SCPHRP team over the last few months. We wish him all the best for the future! Paths For All are hosting an Annual Expert Lecture for anyone interested and involved in creating a Scotland where physical activity improves the quality of life and wellbeing for all. Register now for an afternoon of thought provoking ideas and discussion on what we need to do to improve the physical, social and mental health of Scotland. Dr William Bird MBE has helped transform the health of millions of people across the UK through innovative solutions he has developed. 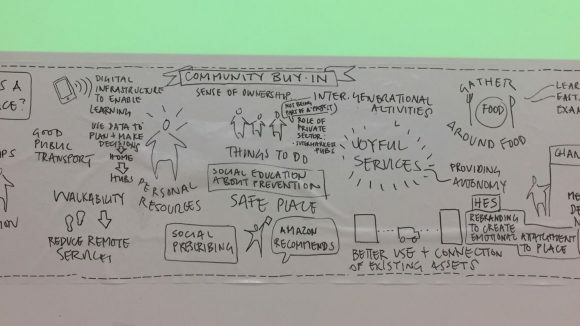 William will focus on developments in ‘social prescribing’ and be joined by Andrew Radley, Consultant in Public Health Pharmacy at NHS Tayside, who will share insight into the radical actions proposed in Tayside to create a more healthy and active nation. If you work in policy, health promotion, public health, sport, academia, environment, planning or active travel this is an event not to be missed. Places are limited so sign up now.